Cute snowflake collection isolated on white background. Flat snow icon, snow flakes silhouette. 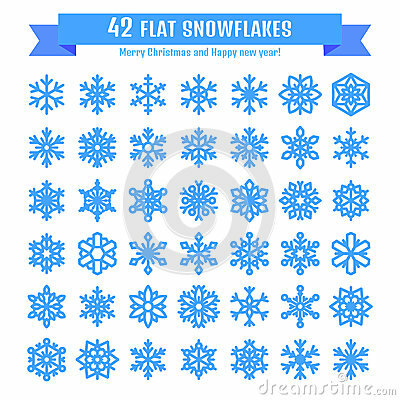 Nice snowflakes for christmas banner, cards. New year snowfall. Organic and geometric snowflakes set.